I belonged to the ANA decades ago but left when I saw the organization take radical positions without even informing us. Now, no nurse I know belong-unless he or she is in politics, academia or administration. Even though I regularly get medical and nursing news updates along with constant ads from the ANA, I never see ANA’s proposed new position changes on hot button issues like VSED (voluntary stopping of eating and drinking to hasten death) and assisted suicide until alerted by people in my network. Unfortunately, although some of us wrote public comments opposing nursing involvement in VSED, the ANA approved the change. Over 1000 people signed an online petition opposing the ANA draft position by the April 8, 2019 deadline. I live in Ottawa, Ontario, in Canada. There is only 1 Palliative Care Hospital here, run by Catholic Sisters of Charity; and it is full to capacity. I am literally terrified to go to any other hospital here because I am 71 years old, and have MULTIPLE health conditions. I literally CANNOT TRUST that some Nurse or Doctor won't slip me a little 'extra' medication that would certainly, end up KILLING me! To ALL nurses caught up in this INSANE situation, I ask you all to band together AGAINST this 'FALSE COMPASSION' ... and CONTINUE TO PROVIDE the CARE to help your patients make a GOOD END to their lives. Help them to die a 'GOOD' death; with their loved ones around them. This is truly something we must continue to fight! 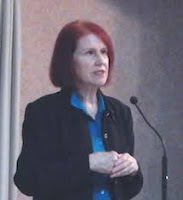 I began researching euthanasia in 1989 and have watched it's devastating and steady progress. "Assisting" someone to die is murder of the one who dies and death to the conscience of the facilitator. Charity A, US >God bless you and I will pray for you. We held it off here in liberal MD once again but it is getting harder. I am in mortal fear that, if the US moves to a national health system, this will become mandatory, without regard to either a providers conscience or an elderly patient's wishes. As a nurse for 46 years [now retired] I have seen a change in the motivation to become a nurse. Sadly it has become a means to earn a good wage. "Caring' is no longer accepted as motivation to train as a nurse by most nursing schools, if fact it is often a reason to decline the application. Many young nurses aspire to become 'educators' or managers, leaving a shortage in bedside care. In today's political climate MAID is seen much like therapeutic abortion, as a means to facilitate an individual's choice. Some nurses will need to make an ethical decision to quit or bend to accommodate the regulations, as to refuse to participate will be interpreted as 'abandonment of patient' which will lead to dismissal. Thank you for posting this article. I submitted feedback in opposition to the ANA draft, and misleading language. It is helpful to read about the ANA membership, only 10% of U.S. nurses belonging to this organization, however they are in academia and are adopting the pro-assisted suicide language, rather than speaking honestly. Suzanne J. makes an excellent point. The practice of MAiD has resulted in a shift of public perception in regard to our health care system. For many, a hospital is no longer perceived as a safe place to be if you are elderly or if you have complicated or chronic illness. The physician is no longer assumed to be necessarily committed to helping a person maintain their health or recover from illness. The bond of trust has been broken by MAiD. I hope there are numerous Americans reading this thread, because it truly highlights what is at stake in your own current healthcare debate. Single payer AKA "social" medicine, as existing in Canada, is a monopoly which excludes competition. The current model, whatever that might be, propagates out across the nation in cookie-cutter fashion to all hospitals, clinics, medical schools, and so on. 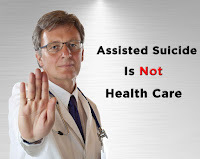 Legal change in the realm of assisted suicide and euthanasia, simply means decriminalizing the act and allowing willing patients and doctors collaborate therein. As long as the medical market is "free" the damage that can do (while substantial) has limits : Doctors and hospitals can advertise their opposition to those practices, and patients can find those doctors and hospitals, supporting their position by voting with their wallets. 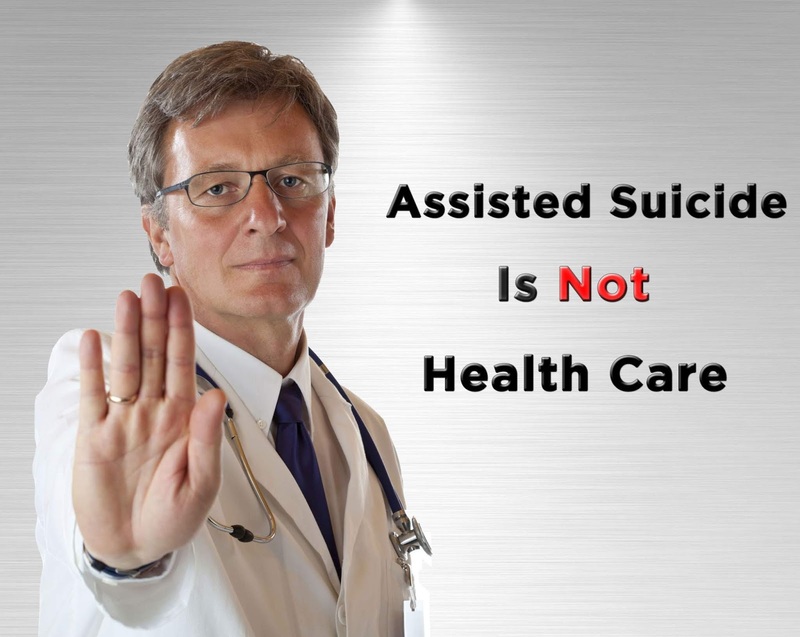 The result is, that most institutions in States permitting assisted suicide, do NOT allow it by their staff or within their walls. In Canada, however, from the moment it became legal, it became (as a basic element of "social justice") a service available to all, everywhere (in virtually every single hospital in the country), and at all times. So now we have comments such as that of Suzanne above, to the effect that she is afraid to go to the hospital. Well, she is not alone. So am I.And whereas this would be a self-correcting problem in a free medical market, in Canada, it is an artificial and permanent constraint. At some point, Canadians will have to realize that our ever decreasing quality of medical care (two operating theaters were shut down indefinitely this week at the larges children's hospital in Montreal for lack of staff), is not in spite, but BECAUSE of our crown jewel: socialist health care. And Americans, as I began by saying, should realize right now what will be lost if they make the same mistake. This is not only so wrong, it is scary. How are we able to trust any medical professional, or nurse anymore. We, as a patient, cannot know which nurses, or doctors are ok with killing patients no matter whether that patient wants to live, or wants to die. Some nurses have been doing this for over a decade already. They act like they care, and will even joke with the patient while planning his death. I know this for a fact! I would not trust a nurse to not put something in my IV to hasten my death, even though not all nurses would do that. I could not distinguish who has a conscience and who hasn't. I would not trust medical professionals with my loved ones either. There is nothing good about euthanasia (killing those who do not want to die). Even those who want to live are not given a choice. It is also so very wrong to try to force doctors and nurses or others to enable or kill a patient, especially when it goes against their conscience and/or faith. No doctor should have to refer a patient to another doctor to help kill them either. That is something that will also not be agreeable to anyone with a conscience and will go against their faith. Hospitals should be a safe place to go when you are injured or sick, not a place where your chances of being offed are greater if you are elderly, have mental problems, or a terminal illness. All medical professionals including nurses should abide by the Hippocratic oath to do no harm! We should be able to trust those who are responsible for our medical needs in a hospital, whether meds, or other. This also goes on at nursing homes. They starve the patient. Scary. giving her morphine. He went out and came with a syringe. I said, what's that. It was an antidote for morphine. Within 10 minutes she and I were having a conversation and she was eating grapes (her favourite). Shortly after that, I arrived to find that she had been left unrestrained and in a chair 6 feet from her bed. She fell and broke her knee cap. The nurse's comment was: well that you can't do anything for a broken knee cap. I'm not stupid. 2 days later I received a call saying she had been in distress at night, and had slipped away. Dead at 72. I am certain, from an overdosing morphine patch. Impossible to prove. No autopsy. Nothing. Her doctor had told me before she should not go to an apartment. He was annoyed we got her a few more years of independence. He was the attending physician and I never trusted him. Complaining was useless. I lodged a complaint with the College of Physicians and Surgeons. Her care and neglect in that hospital. Nothing happened but another lady I am power of attorney for was in the hospital and boy, they took good care of her!! At least it was something. My advice: make sure you have someone with you if you go to a hospital and cannot trust the physician and staff. 3. Demonstrate that in a large basin like Montreal or Toronto that number is more than adequate to justify the maintenance of euthanasia-free facilities staffed by self-identified hard-core hippocratians. 4. Demand satisfaction for this sector of the market. P.S. Choice is possible in a public system, it is just less natural and requires more work. From Paul Anderson's post, this ending comment really got my attention: "The bond of trust has been broken by MAiD." In reacting to other posts, it seems obvious that one's trust in the Canadian medical system is shattered. When a person begins to have more medical issues and with the rising costs of medical care, medical practitioners may rationalize that we're a liability and prescribe MAiD without our consent. I'm a Registered Nurse in Calgary. The first thing I thought when my Dad in an Edmonton-hospital was changed from a R3 to a C1, Goal of Care, was "Don't kill him". Why? Because sometimes impatient healthcare staff (Drs and nurses) and family think C1 means "Palliative Sedation" and will sedate a patient into unconsciousness/death (which is not always necessary or desired). I had to call the staff and request that they treat only symptoms and let him remain conscious so he could know he was not alone and could hear the words of prayer while dying. When he did die, in the early morning hours, I dared not ask who his nurse was. There was one I didn't trust. Trust. It's essential.